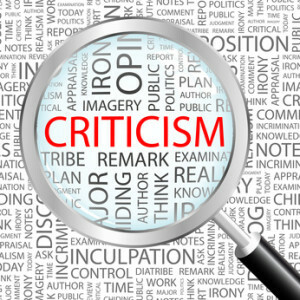 Criticism is a natural part of any company – but how you respond to criticism is what will mark your company as either a friendly, customer orientated organisation…or as a profit hungry, callous corporation. Having a reputation as a company that truly cares for its customers will draw in further customers as they know that, should something go wrong, they’ll be looked after; however, having a reputation as a faceless conglomerate that cares more for its shareholders than its clientele will put off potential customers that know, should something go wrong, they’d be out of pocket and on their own. Complaints and social media go hand in hand, so use it to your advantage. Find where people are talking about your company, whether it is Twitter, Facebook, or even personal blogs…and read! The first step to solving a complaint is finding out what it is. Once you know what people are unhappy about, it is much easier to try and find a solution to appease them. A simple but effective step is to bring the complaints to you. Monitoring feedback works well, but it works even better if you cut out the middleman. Create a prominent feedback/forum section on your website and encourage people to leave their comments – that way you may deter people from venting their frustration on high profile complaint websites and blogs, and you can use the opportunity to show that you take feedback seriously and are willing to try and solve their problems. But remember: you’re not a dictatorship! However tempting it may be, resist the temptation to censor people’s comments. It didn’t work out too well for the Soviet Union and the chances are it won’t work out too well for you either. Once people realise – and they will – that you’re removing unfavourable comments, people will distrust anything you say from then on. It’s best to embrace such comments and turn a complaint into a compliment about your customer service skills. It is much easier to be proactive and solve criticism if and when it occurs than to allow events to snowball and have to face an avalanche of angry customers. Delaying a response will only make the situation worse. The customer will still be angry that the product wasn’t what they expected or wasn’t delivered on time – plus they’ll now just be angry that it took your company so long to offer a response. To prevent this from happening, consider having you customer service team work alongside your reputation management team (if you have one) because nobody likes to be told two different things from two different people. Follow these simple tips and you are on your way to sealing your company’s reputation as a friendly, customer orientated enterprise and, with it, the hearts and minds of both existing and potential clients. Yes, ladies and gentlemen – the shift from analogue to digital is here to stay. Aside from having rapidly crept in and unquestionably overtaken our day-to-day life, digital has likewise managed to find and seal its place amongst modern marketing’s biggest weapons and effectuate the shift to none other than – yes, you’ve guessed it – digital marketing. Seeing a lot of this lately? Well, get ready to see more, as digital marketing takes the world by storm. 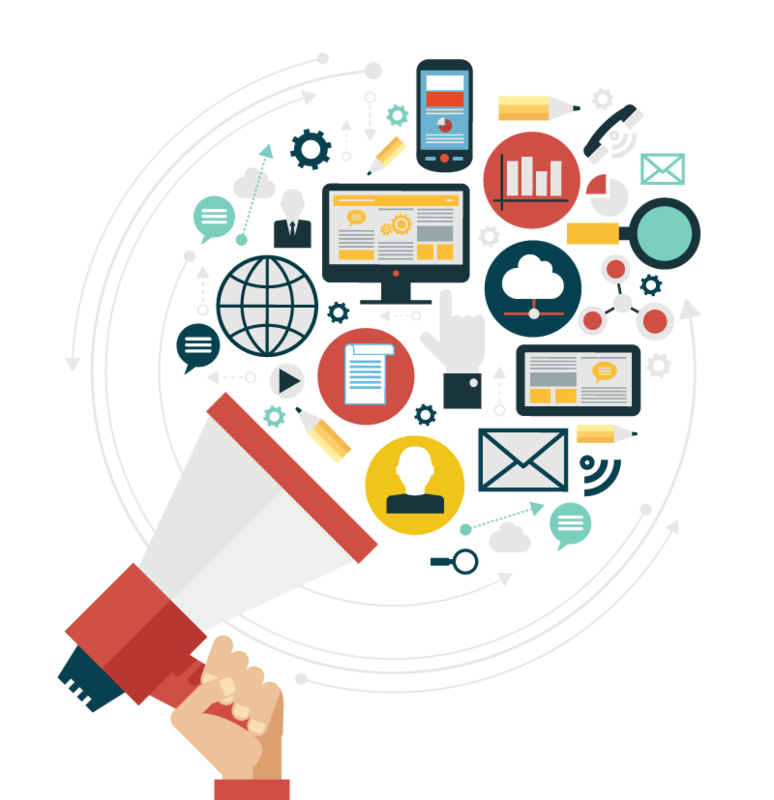 So how exactly has digital marketing become the buzzword it is today? Well – aside from the fact it’s pretty much set out to become the future of marketing – digital marketing allegedly holds several benefits that are valuable to both companies and marketers alike. Online Reputation Management – considered digital marketing’s right-hand (with perfectly good reason), online reputation management allows for such wondrous options as market searches, competitor analysis, social media content measurement, trend spotting and many, many others. Metrics Analysis – far from just analyzing volume, metrics analysis identifies trends and makes estimates. Relationship Analysis – love woes aside, relationship analysis processes data about customers and their relationship with a given establishment with the purpose of increasing sales, improving service, and lowering cost of that establishment. Strategy Development – vital for running every successfully functioning business, strategy development sets specific goals and objectives based on the varying market dynamics through the aid of compliance measurement, maintenance and audit, and team training. Technology Testing – provides quality assurance in the area of research and development through the aid of website analytics, influencer identification, and engagement solutions. Crisis Management – helping overcome the drama of handling tweets and blogs, contemporary crisis management helps keep things under control through such options as crisis organization charts and comment response charts. Team Collaboration – often the unsung hero of many a successful project, team collaboration – even in the high-tech world of digital marketing – holds the foundations to any successful undertaking through the use of integrated collaborative solutions, document sharing, project management, and others. Communication –a two-way street concept, communication is vital for procedure definition and process analysis that will secure synergy all throughout projects and undertakings. Aspiring marketer? Newly formed company? Better get acquainted with the above essentials A.S.A.P., as they are the fundamental basics of digital marketing and – mildly speaking – your guide to keeping in line with the way of the future. The new portion of this year’s social media conferences is here. Don’t miss the chance to attend one of these events. Last year’s edition of the Inbound conference was visited by more than 10 000 participants. The expectations for Inbound 2015 are even greater. The conference covers various topics – retention marketing, culture of innovation, PR analytics, company culture, to name but a few. The participants will have the opportunity to build their own program. The official agenda includes keynote presentations, training and breakout sessions, workshops, product demos and network activities. Some of the key speakers will be Seth Godin, Brené Brown, Aziz Ansari, Brian Halligan and Dharmesh Shah, and Daniel Pink. The CMWorld 2015 offers more than 150 sessions on developing a strategy, storytelling, measuring SEO, analytics, promotion techniques and many other topics in the field of content marketing. The 4-day agenda is full of presentations, workshops, panels and labs. Among the speakers at The CMWorld 2015 will be Nick Offerman, John Cleese, Rajiv Chandrasekaran, Joe Pulizzi, Jay Baer, Kathy Button Bell, Andrew Davis, Rand Fishkin, Scott Abel, Ardath Albee and Judd Bagley. Social media, search engines, digital marketing are the core themes at Pubcon. The agenda includes sessions on SEO, LinkedIn marketing, social media data, branding and social strategies, content marketing, reputation management, video and podcast marketing. In addition, there is an option for visiting the Pubcon Masters Group workshop and training program which will take place the day before the beginning of the conference. This program covers six tracks: SEO: Organic Traffic Optimization, Social Media Campaigns, Paid Search, SEO: Fundamentals, Social Media Advertising, Landing Page Coversion. Speakers at Pubcon will be Abby Johnson, Ann Smarty, Alex Volk, Adam Proehl, Britney Muller, Ashley Ward, Mark Traphagen and many others. The Social Media Success Summit is an online conference which gives the participants the opportunity to learn a lot about visual marketing and analytics, content marketing, social media networks. The conference will last four weeks as the sessions will be held three days per week. The SSMS provides recordings of all sessions as well as transcripts in English. Key speakers will be Mari Smith, Mark Schaefer, Amy Porterfield, Christopher Penn, Michael Stelzner, Neal Schaffer, Viveka von Rosen, Andrea Vahl and Melonie Dodaro. The conference is all about digital marketing. There will be 250 attendees. This will allow the participants to get to know each other better and to build strong future partnerships. The agenda covers topics such as dealing with wicked problems, content marketing, performance optimisation, business development, media strategy, storytelling, niche markets. BOLO also offers a 3P track. This is a pre-conference track which includes presentations on recruitment and retention of talents, optimisations of the workplace for creativity and protection from industry disintermediation. Something new at this year’s edition of BOLO will be another track called Applied Strategy. It will be concentrated on the elements of customer engagement through various platforms and digital marketing. Key speakers at BOLO will be Christine Outram, Rohit Bhargava, John Winsor, Drew McLellan, Susan Baier, Adam Rymer, Michael Kaushansky and others. The forum will provide the participants with a lot of useful knowledge and information about B2B marketing. It includes a one-day pre-conference workshop about content and marketing strategies, writing for marketers, marketing planning and lead nurturing. The B2B Marketing Forum includes 54 sessions on Google analytics, marketing leadership, account-based marketing, community marketing, creating a podcast, high-performing emails, managing a marketing team and many more. As it is strongly emphasized there are no panels included on the agenda. The B2B Marketing Forum gives an option for the participants for online access to particular sessions for three months. The list of speakers includes Hana Abaza, Ardath Albee, Jim Beretta, Michael Brenner, Dan Briscoe, Rebecca Cisek, Brian Clark, Heidi Cohen and others. PRSA is about providing networking opportunities and best international practices in the field in one place. The agenda includes five tracks: Integration, Tools and Techniques, Specialization, Strategic Planning and Implementation, Leadership and Management. Each track contains of a couple of sessions as participants can create their own programs choosing which sessions to attend. Some of the topics on the agenda are PR strategies and tactics, content integration, PR analytics, SEO, culture of innovation, influencer landscape. Speakers will be James Kane, Daniel Lubetzky, Sheryl Connelly, Jim Cantore, Joan Gladstone, Brad MacAfee, Priya Ramesh, MaryBeth Vrees, Rita Tateel, Deirdre Breakenridge and others. 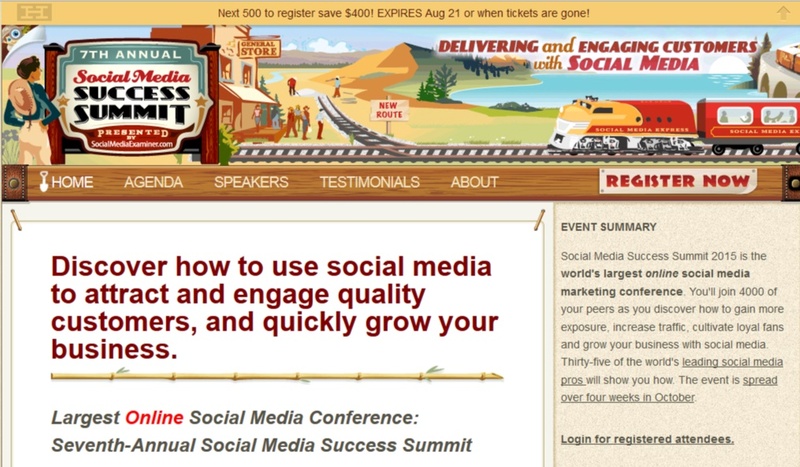 A couple of great social media conferences are coming soon – check them out! The Next Web Europe will cover various topics on the latest web trends. More than 3500 people will take part in TNW. Among the speakers of the conference will be Pieter van der Does, Werner Vogels, Neelie Kroes and David Allen. The schedule is still in a progress of crafting. There will be 4 stages – red, blue, green and yellow, so you can choose to register according to your business interests. Special attention will be paid on early-stage startups with ten Boost Sessions for two days (check the green stage). The conference is focused on B2B marketing – concepts, analytics, strategies, best practices in the field, successful brands. In addition, it will take place at a baseball stadium for much more inspiration and fun. One of the most important advantages of the conference is the opportunity to network with B2B marketers in the industry. There is a list of the companies which will attend this year’s Summit. Speakers will be Adam Blitzer, Megan Heuer, Michael McLaren, Heather Zynczak, Holly Bounds and others. The main focus of the Summit is how to increase the ROI of social media through implementation of various business tools. There will be a Trender Panel (a group of users) involved in some of the sessions. The agenda includes the topics of optimization of the workflow with social media dashboards, best practices in social listening and monitoring, building a social advocacy program, social media analytics tools, content marketing and more. Some of the key speakers at the Social Tools Summit will be Neal Schaffer, Brian Mahony, Emeric Ernoult, Ron Schott, Nicole Kroese, Tanya Donnelly. This year’s theme of the camp is “Social integration”. The attendees will learn how to create effective social media strategies which integrate all components of digital marketing. The Social media camp gives the opportunity to provide social media coaches for new participants. The schedule consists of sessions in social media trends, omni-channel marketing, brand culture, crowdfunding, social media ROI, influencer marketing and much more. Some of the main speakers will be Marc Stoiber, John Jantsch, Lisa Larter, Hussein Alibhai, Nicole van Zanten, John Yap. The Social Shake-Up Conference provides a variety of sessions and case studies. There are 5 tracks – Data & Analytics, Conversation, Creativity, Challenges and Collaboration, as each of them consists of particular sessions. Attendees can create their own schedule based on their preferences. The main topics include creative thinking in terms of customer experience, analytics for engaging mobile users, real-time marketing, social media management, social generation, crisis management, content marketing, best brands on social and much more. Among the key speakers will be Daina Middleton, John Yembrick, Doug Busk, Tracy Bell, Robert Cancalosi. The conference is focused on creating a successful social strategy. The agenda covers the following workshops: B2B social business tools, CRM, Blogging, global content marketing, social media strategies for financial services (all day). Speakers will be Adam Miller, Kevin Dando, Mindy Stockfield, Amar Ravi, Soniya Monga, Buddy Teaster, Ryan Lewis and others. The key themes at The Big Social Media Conference are connected with boosting sales with social media, omni-channel marketing, marketing automation, mailing lists, and social media strategies. The list of speakers includes Mari Smith, Melonie Dodaro, Lilach Bullock, Yossi Erdman, Sharon Flaherty and others. MozCon is about SEO, community building, brand development, CRO, content marketing, analytics and much more – all presented in a non-traditional way. Some of the speakers will be Adam Singer, Cindy Krum, Courtney Seiter, Dana DiTomaso and David Mihm. The agenda should be published soon. Unfortunately, the old adage ‘if you haven’t got something nice to say, then don’t say anything at all’ definitely does not apply to the internet. Today, we live in a world where anyone with access to the internet can say anything they want – be that a glowing endorsement of your employee going the extra mile to please a customer, or a scathing attack after missing a delivery time. 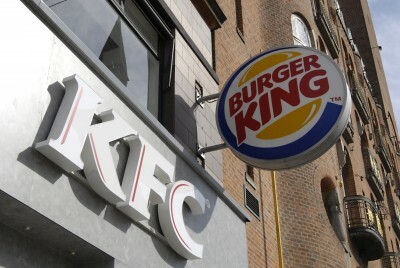 The need to protect your online reputation has once again become the center of attention after the US fast food giant Burger King had its Twitter account hacked. In the latest Whopper story (sorry, I couldn’t help myself) from the world of Twitter, the red, yellow, and blue of Burger King was replaced by the Golden Arches. Claims of ‘We just got sold to McDonalds!’ proved unfounded and, fortunately for Burger King, they seem to have emerged from the whole fiasco in a positive light. Who would have thought being hacked would actually prove beneficial? Not many I’m sure – but that seems to be what has happened; Burger King has gained the kind of attention some advertising teams could only dream of. After all, tens of thousands of new Twitter followers in two days is hardly a disaster, nor is the worldwide news coverage that the story has created. That said, Burger King were remarkably lucky. Contrary to popular belief, it would appear that people do in fact still have some sense of humor and took the tweets (which, let’s put it this way, I wouldn’t want my Grandma to read) as the outlandish attention grabbers they were always intended to be. This inherent vulnerability of social media – in the sense that not only does it offer a way for consumers to get closer to the brand(s) that they love, but also has the power to alienate that very same fan base by something as simple as a badly worded tweet – highlights the need for online reputation management. In this day and age, the brand is all-powerful. The likes of McDonalds, Coca-Cola, Apple, etc. have become so synonymous with everyday life that it’s almost impossible to go a day without seeing a billboard or television advert trying to sell you their latest product. Is it any wonder that major corporations spend millions on advertising campaigns? Not really, when they know a bad campaign could see them lose ground to competitors while a good one could bring in new consumers and lead to big profits. Given cases like Burger King’s, however, we are once again reminded that not all negative publicity is always bad, somewhat confirming the saying that any publicity is generally good publicity. Since the days of Arkwright and Watt, mankind has come a long way. We’ve developed planes, trains, and automobiles (minus John Candy and Steve Martin, obviously). We’ve developed the telephone, the computer and the atomic bomb. These things, however, are being consigned to the annuls of history for one reason – the days of the tangible product are numbered. The concept of ‘experience’ has become the key. What should the customer experience be like? Could we improve it? It is this focus on people rather than the product that is most intriguing. While you can easily measure something tangible – it is easy to count the number of laptops in a warehouse, for example – it is, however, much more difficult to measure emotions and feelings, especially the emotions and feelings of something as unpredictable as man. The last three decades have seen a clear shift from the tangible to the intangible. Although it is true that the economies of western industrial nations are still 60-70% product focused, it is, likewise, true that almost exclusively new business start-ups are service based. 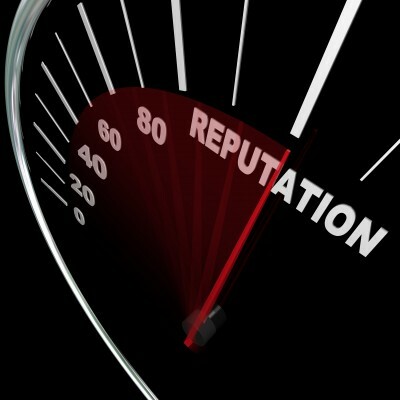 Businesses are more concerned than ever with their online reputation – and rightly so. The blogosphere, alongside social media in general, has the power to make or break a company. One bad review that goes viral and your start-up that you have worked so hard to create is ruined before it has even begun! The answer? The beauty of online reputation monitoring and management. 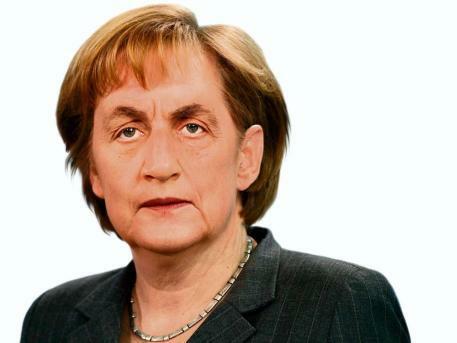 Merkozy – the moniker that symbolizes the marriage of convenience between the German chancellor and the French president became a popular expression. Rankur – a tool for social media analytics performed a research on the term’s popularity and the expressed sentiment by Internet users. The term is already used in internet search and increased its fame after the deal on December 5th. The geographic location of the users who adopted the nickname shows that it is most popular in the UK and Spain. It was introduced back in September, 2011 and gained popularity after a publication in The Telegraph. Currently it is gaining terrain after the EU summit from December 9 but unfortunately, as we’ll see below, the overall sentiment in the publications is negative. The demographic report illustrates the profile of the adopters and it is quite definite: an adolescent man in the age group of 19 to 32 years old. The finding is probably related to the men’s psychology – the testosterone gears up the will for negative attitude and usage of monikers. 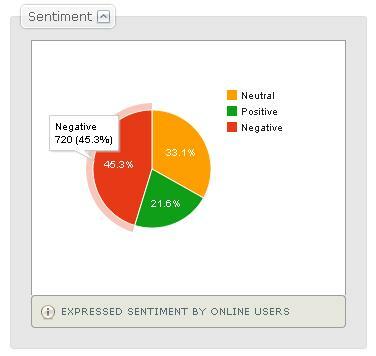 The sentiment analysis report confirms the hypothesis of negative feelings. Sentiment analysis from text is part of artificial intelligence studies and reports the author’s positivism in an automated and unbiased way. Concerning our research term online users are very tough when using the sobriquet. 45.3 percent of the users express their thumbs down emotions, surely induced by the worsen Euro perspectives. Further exploration can be done in a few clicks by filtering the results by language, location, period and more. The results will be shared in future posts – stay tuned to our blog for follow up! 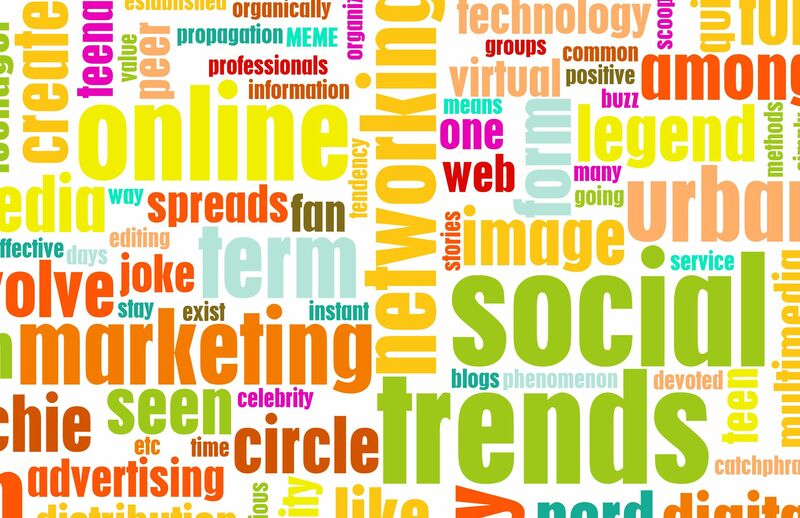 One more interesting thing to explore is the topic cloud – it gives the summary of what is being or has been discussed, together with a quantity indication and trends. That’s a short review of our research, obtained from Rankur.com. Thank you for reading our blog post. Stay tuned to our blog and receive our tutorial on how to discover top influencers, opinion leaders, topic trends, sentiment analysis and more. Our services are also available by API. Having to decide how to promote your new product? Or what are the main features that people like on your competitors’ gadgets? Having issues with your current ad campaign? There are technologies that help you answer the question and ease the finding of the solution, but now they become free! Consumers’ opinions have always been an important piece of information during the decision making process. Long before the Internet became so central in our lives people were asking their friends to recommend a product or service and their opinion was decisive factor. Nowadays millions of people share their opinions on social media sites or just by leaving a comment on an article or blog post. A recent survey states that 81% of the internet users have performed research on a product and 73% of the readers of online reviews confirm that the reviews had a significant influence in their purchase. A new EU-based startup, called Rankur, combines technologies like Opinion Mining and Text Analytics into a cutting edge product that answers the questions “What other people think” and “What are other people talking about”. What is also important – their product is available for all types of businesses and marketing professionals. By crawling millions of URLs per day and having a teacher-trained robot for text analysis their tool extracts opinions from web pages, tweets, blogs and news articles and performs deep linguistic analysis to summarize and consolidate data. A marketing or PR professional may stay current to what is being said about a topic, find out what are the related discussions about, where do they come from, discover negative or positive text and filter opinions by language, source or trend. Understanding consumers’ preferences, attitude and behavior and being able to explore the demography behind is crucial for every marketing research. Another application of these recent technologies is the automation of the follow-up of your brand reputation. Rankur helps you discover online brand abuse, false rumors or reputation attacks on time and helps you organize your actions. The marketing adoption of text analytics techniques surges upward. The recent appearance of Apple’s Siri, the virtual agents from Virtuoz, similar initiatives from IBM and Google are proving the tendency that Artificial Intelligence will take part of our life and should be used for analysis of the increasing volumes of information and the support of our decisions. Rankur is taking part of this trend by sharing a free technology for online opinion monitoring and analysis. Quite often the solution of a problem is hidden in its definition, so think well before hurrying to start the action. A good strategy for social media marketing is a must for an effective, measurable social media endeavour. To plan and execute effective marketing campaign is a big challenge, especially for small businesses. Before starting you should well define the timelines and the milestones for each goal of the campaign. And last but not least – choose a social media monitoring tool to measure the actual state of the business and then observe and analyse the outcomes of your efforts. Find out where your customers share information, interact and make recommendations. Stay tuned and contribute to the online community of your customers. Share news about tendencies and developments in their domain of competence. Contribute to relevant discussions and find out what are the needs of your customers. The choice of tools for benchmarking the success and seeding your content on the various social media websites, the content creation and visual design are the corner stones in your implementation plan. Any changes to these elements would cost you a lot during the campaign. Follow these tips on during your marketing campaign on social media. Social media platform is not about you, it’s about “them”. It is important to be a good listener and try to help others. Listen to your prospective customers and try to assist them by providing for example useful resources and knowledge. Do not talk about yourself, at least in the beginning. Your mission is to help others. Share other people’s posts. It is important to demonstrate that you value the others’ content. Provide authentic feedback to their work, talk, post and share content that provides value to your audience. Try to socialize just like in real life. Be proactive in conversations and assure yourself that your message will be heard by mentioning users in twitter using @ before the username. Use popular tags in your messages so that your message appears in trendy searches. While sharing interesting content make sure to not just retweet the message, but add the user’s name in front like RT @joe85 … Respectively while posting a message on twitter, leave enough space for comments and mentions after retweet. Knowing the limit of 140 characters it is wise to limit your message to 100-110 characters and let any future mentions and tags appear. The authentic content has been and will always be the King in Social Media. Make sure you offer quality content which is engaging and interesting to your audience. The goal of your efforts should be the value creation. Once you start creating valuable content you’ll be amazed by the payback that Social Media Marketing offers to your niche. Once your campaign is well planned and initiated, keep following your plan and it will pay off. Choose tools and methodologies for monitoring and measuring your campaign, analyse the results and take proactive actions to drive your efforts to a successful end.